The Great Awakening—also known as the 'First Great Awakening'—was an 18th century evangelical revival in America that would last for thirty years. It combined the Enlightenment with unsophisticated mass evangelism. When it happened, it had no name. Joseph Tracey invented the term 'Great Awakening' in 1842. The Great Awakening was not a movement coordinated by men. It was a movement of the Holy Spirit. The Great Awakening was a spiritual event that proved to be of vast historical significance. It took place in open fields and around campfires. Camp meetings would henceforth become an important part of American religious life for 200 years. America was born a Protestant Nation. The Anglican Church had purged the Christian Faith of emotion. 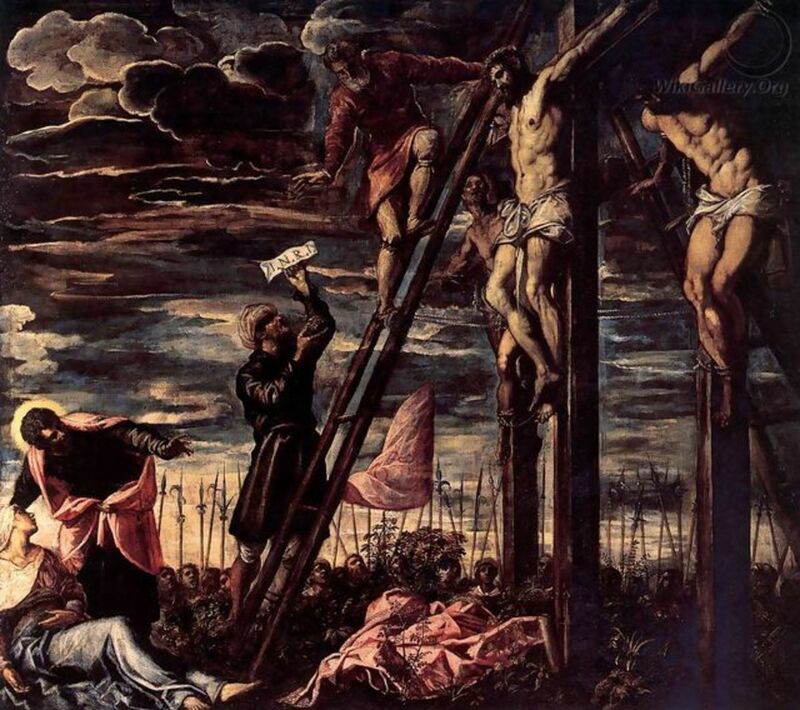 It presented Christianity as cerebral and ceremonial. The Great Awakening united the American People through a new commitment to a "religion of the heart," a more emotional and personal Christianity than that offered by the existing churches. It is difficult to pinpoint exactly when the First Great Awakening began. As good a place as any might be a series of revival meetings held in 1719 in the Raritan Valley by Dutch Reformed minister Theodore Frelinghuysen. The emphasis was on Pietism, a German concept about how to live a personally holy life but not to worry about fine points of doctrinal disputes. William Tennent (1673-1745), a Scotch-Irish Presbyterian minister, started his Log College in Pennsylvania in the 1720s. This was a primitive rural academy to provide a basic education along with 'Frontier Religion.' 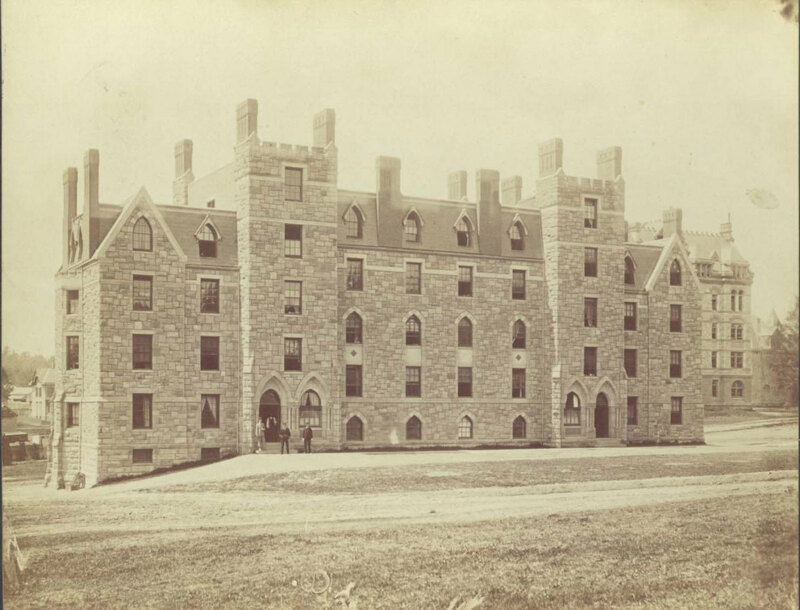 The school became known for rhetorical fireworks and rip-roaring hymn-singing. The Log College produced many prominent preachers in the American Colonies and was the prototype for Princeton College, founded in 1746. In America, pioneers on the frontier came to represent quite a number of people. 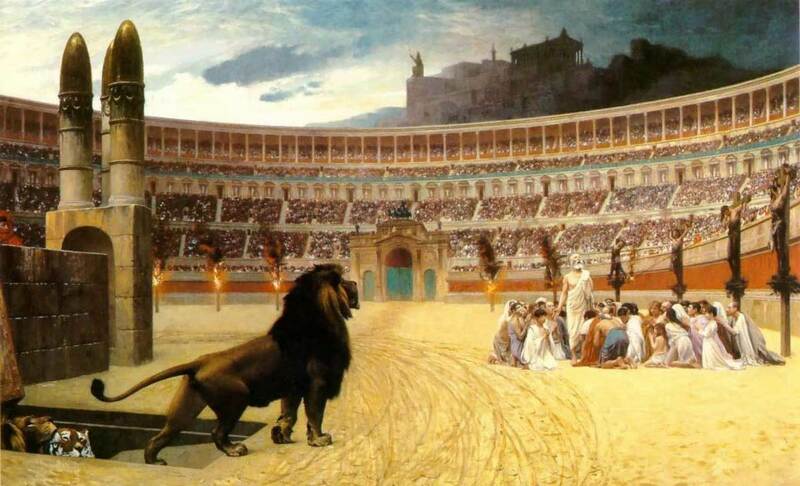 But they had no ministers to preach, or even to administer sacraments and perform marriages. Evangelists (meaning, literally, bearers of good news) held revivalist meetings that alarmed the established city ministers. Critics of the Great Awakening condemned the revivalist preachers for their lack of formal theological training, encouraging disrespect for established churches and their ministers, and filling churches with general disorder. 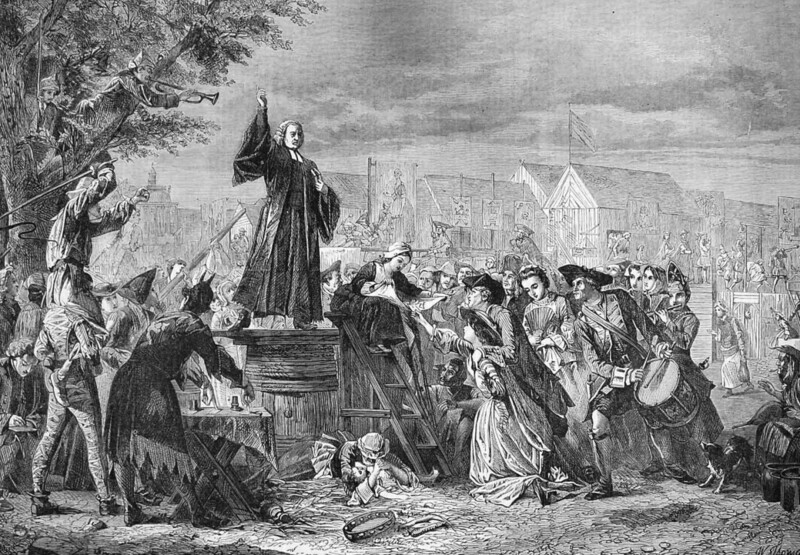 Some states even passed laws against "disruptive" traveling preachers. The Great Awakening was in a way a protest against the religious leadership of prosperous congregations in colonial cities. It promoted the idea that Americans should trust their own views rather than simply follow established elites. The sermons of self-educated preachers prompted thousands of Bible study groups. This was followed by intense religious discussions throughout America. Many congregations split into Old Lights (traditionalists) and New Lights (revivalists). This period saw a marked growth in the Baptist, Methodist, and Presbyterian denominations. 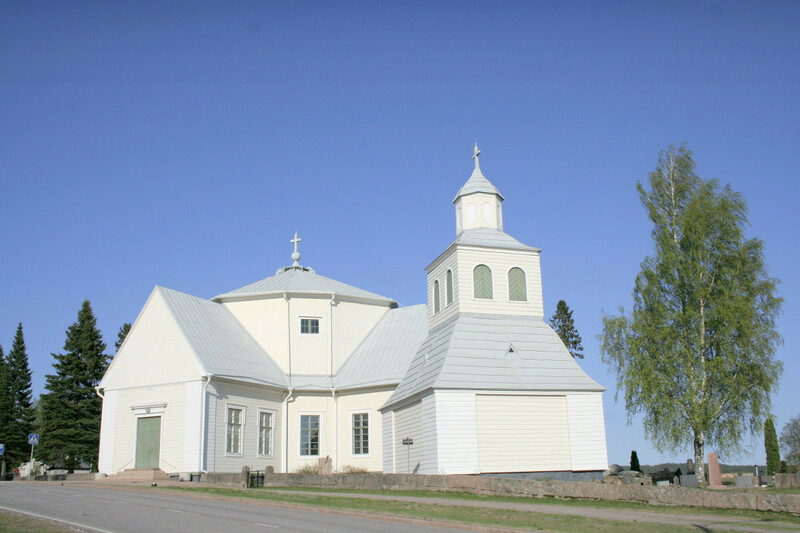 These new churches also criticized the established colonial practice of levying taxes to support the state churches. They defended religious freedom as a natural right that government must not restrict. Jonathan Edwards published God Glorified in the Work of Redemption in 1731. This riveting discourse declared that the greatest treasure on earth is the happiness of spiritual transformation to be found in "the Glorious Excellences and Beauty of God." It is equally attainable by people of all stations and intellectual capacities. 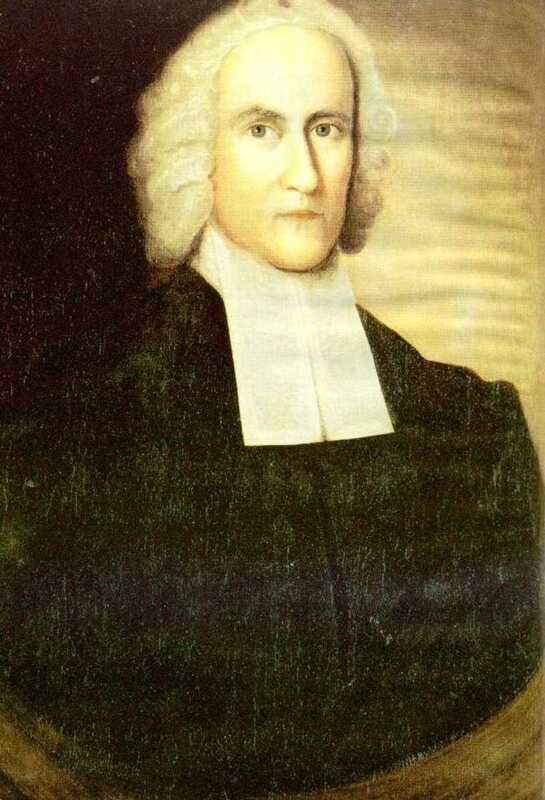 In 1740, Jonathan Edwards commented on the Great Awakening: "It is not unlikely that this work of God's Spirit, that is so extraordinary and wonderful, is the dawning, or at least the prelude, of that glorious work of God so often foretold in Scripture, which in the progress and issue of it shall renew the world of mankind. And there are many things that make it probable this work will begin in America." Jonathan Edwards published Treatise Concerning Human Affections in 1746, which was widely read. He sought to arouse the "affections" with his preaching: "that which moves a person from neutrality or mere assent and inclines his heart to possess or reject something." Jonathan Edwards became the first famous intellectual in American history. He was a major philosopher whose core message is that love is the essence of the religious experience. Edwards taught that God radiated his own goodness and beauty into the souls of men and women so that they became a part of Him. The heart of the message: Do good, lead useful and Godly lives, and help others do the same. His writings were soon seen to have political as well as theological applications. George Whitefield (1714-1770) was born into a humble home. His parents managed the Bell Inn in Gloucester, England. Whitefield grew up around the family tavern and thus became quite familiar with drunks, prostitutes, pickpockets, and gamblers. Whitefield converted to the Christian Faith in 1735, and graduated from Oxford a year later. 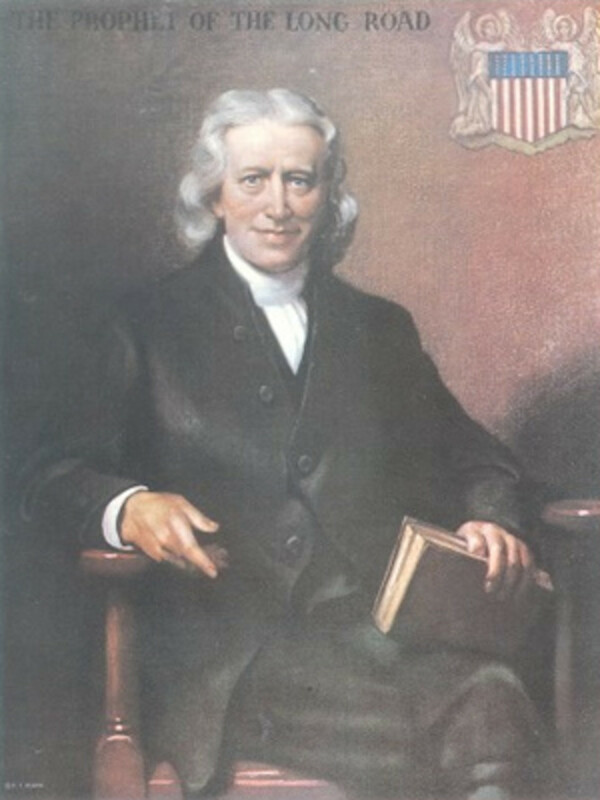 He was inspired by Jonathan Edwards' A Faithful Narrative (1737), which detailed conversion experiences through the revivalist method. 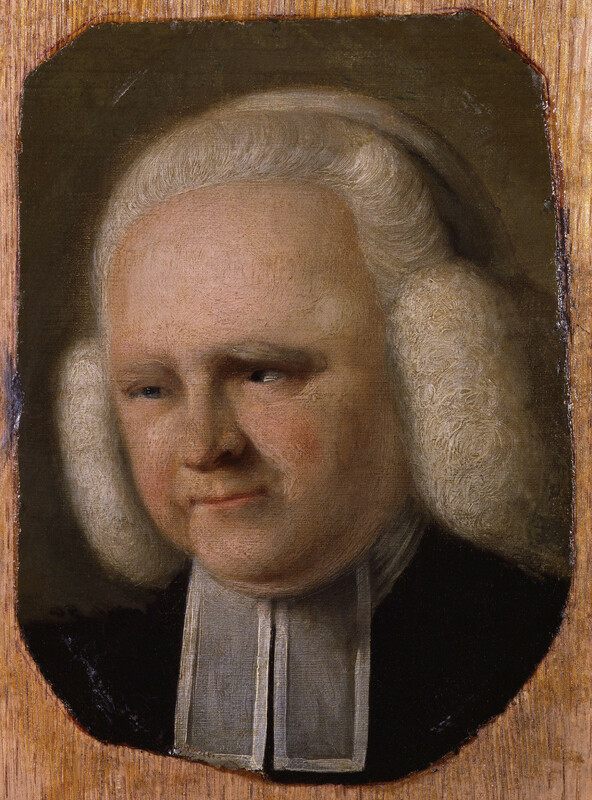 Whitefield quickly found fame in England as a spellbinding evangelist. In 1739, Whitefield went to America to stoke the fires of religious fervor there. In Georgia he founded churches, charities, and orphanages. Whitefield would become the most famous preacher of the 18th century, as well as one of the most beloved men in America—the first man well known in all of the American Colonies. He fell in love with America after touring the colonies from Savannah to Boston in 1740. Anglican churches closed their pulpits to his radical message, and he took to preaching in markets and open fields. His nickname was The Great Itinerant. Whitefield drew crowds in the tens of thousands, which was widely reported in the press—making him a celebrity. He evoked an emotional response to the gospel in his hearers. He was eager to share the joy he had found in Christ. He had no peer when it came to spectacular rhetorical gifts. Whitefield was described as a slender man with an angelic but bold countenance. Everywhere he went, he ignited a spiritual flame. Some people fainted, wept, and shrieked. A German woman who spoke no English said she had never been so edified in her life after hearing Whitefield preach with "Flame, Clearness, and Power." Whitefield preached the possibility of a miraculous change in one's life through the power of the Holy Spirit. God is merciful. Anyone can be saved by repenting of their sins. They must simply change their ways and surrender their lives to Christ. He possessed a golden voice and tons of charisma. In the pulpit he acted out the agonies of those in hell and the joy of those in heaven. He used humor, suspense, and pathos. Never had such an eloquent, captivating preacher been heard. Even Jonathan Edwards was moved to tears by Whitefield's sermons. Whitefield usually cried himself. He was cross-eyed in a hypnotic way that transfixed his audiences. George Whitefield proclaimed "the whole world his parish." He completed seven tours of America over thirty years. Whitefield was among the first men to preach the gospel to slaves. He preached 20 sermons a week. Many said his last sermon was his best. Francis Asbury was born on a farm in Birmingham, England, in 1745. His parents were among the first converts of John Wesley, and raised their boy on prayer and the Bible. Reflecting on his childhood Asbury said, "I abhorred mischief and wickedness, although my mates were among the vilest of the vile for lying, swearing, fighting, and whatever else boys of their age and evil habits were likely to be guilty of." Those boys subjected him to much ridicule for his virtuous principals. In 1771, Francis Asbury went to America after hearing John Wesley's call for Methodist preachers to go there. He became a circuit rider, and traveled non-stop on horseback for 45 years to preach at camp meetings and revivals. Asbury covered 300,000 miles during his travels, and crossed the Appalachian Mountains sixty times. He preached in every American colony but had no home to call his own and often slept outside. 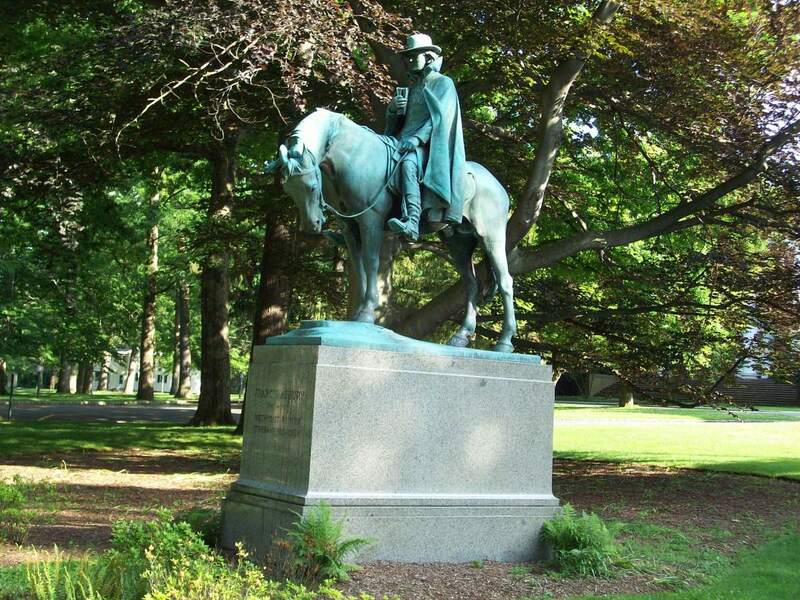 Francis Asbury personally ordained over 4,000 Methodist ministers and preached more than 16,000 sermons in America. He ignored his own physical maladies. In 1798 a doctor gave Asbury a physical examination and found him to suffer from "boils, fevers, rheumatism, sore throat, weak eyes, bronchitis, asthma, toothache, ulcers, neuralgia, intestinal disorders, swollen glands, and galloping consumption." Asbury inveighed against alcohol, gambling and promiscuity. He promoted temperance, marriage, and thrift. He published scores of tracts, and founded Sunday Schools to promote literacy. Asbury insisted that Methodist chapels be plain, and congregations not become indebted to wealthy patrons. He also preached against the evils of slavery and ordained black clergy—including the founders of the African Methodist Episcopal (A.M.E.) Church, "Black Harry" Hosier and Richard Allen. Women were encouraged to witness to their husbands and sons and lead Bible study groups. Methodism became a populist religion for humble people; personal, emotive, and joyful. By the time Asbury died in 1816, there were 150,000 Methodists from New England to Mississippi. The Great Awakening prompted Evangelicals to provide food, shelter, education, and work for the poor. 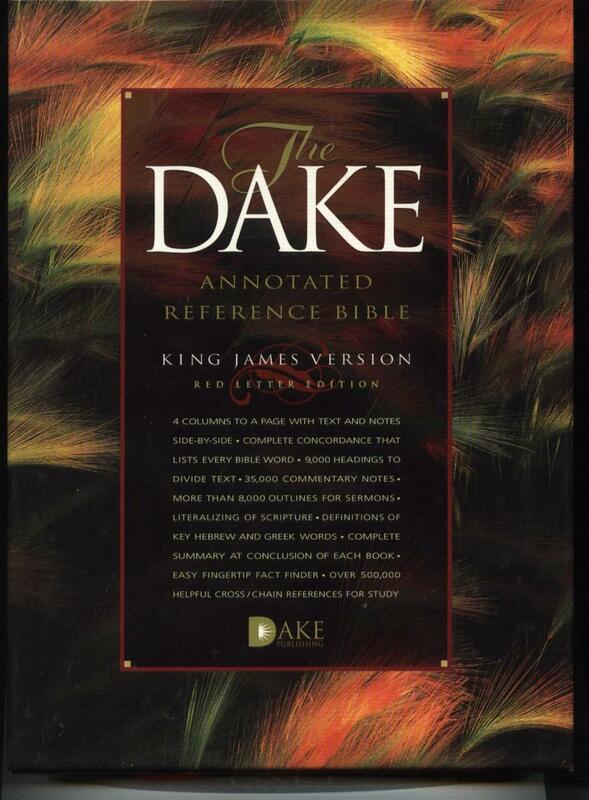 Preachers admonished country folk to read the Bible every day. But first they had to be taught to read. Thus, the Evangelicals began a widespread literacy program in the countryside of Colonial America. The Evangelicals denounced slavery, and proclaimed that whites and blacks were brothers in Christ. American slaves responded in great numbers and would soon establish the first black Christian churches. The Great Awakening attracted primarily humble men and women of modest means, which critics called "rude, ignorant, void of manners, education or good breeding." The Great Awakening produced a profound reduction in sinful activities. 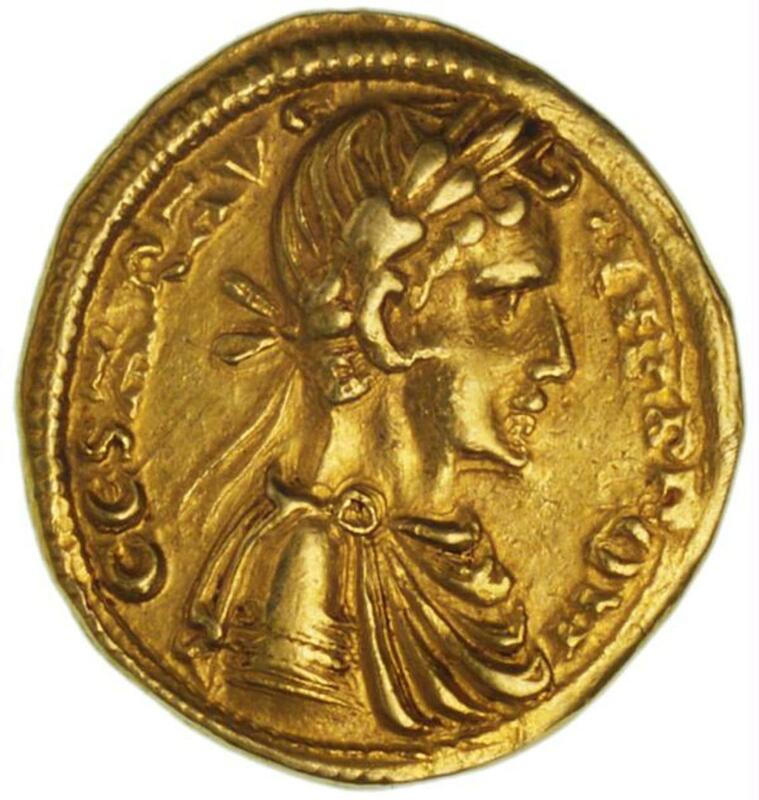 Gambling, horse racing, and lavish entertainments were denounced. 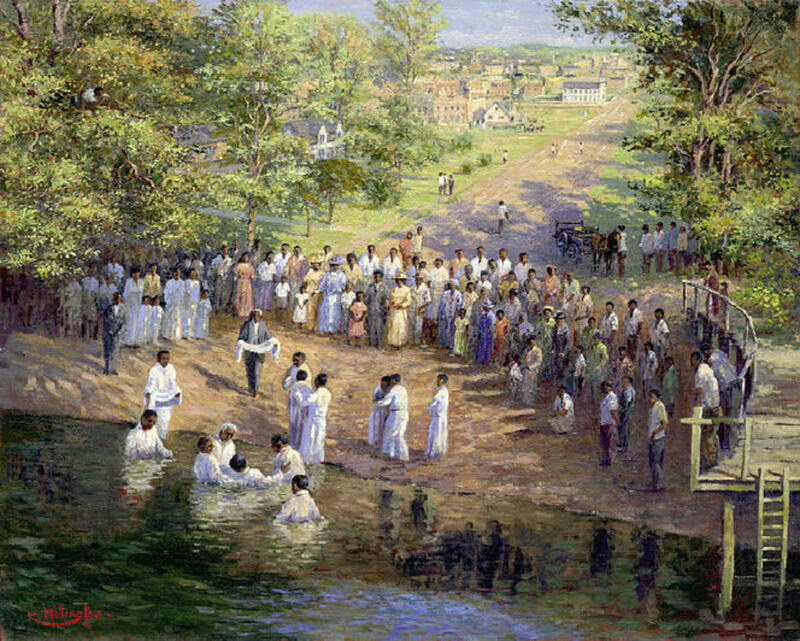 Sabbath observance became widespread throughout America. The world was seen as a great morality play. God is active in the world and sovereign over it. The duty of a Christian is to answer the Call of God; to make the world a better place according to His purposes. But American Evangelicals rejected the association of force with the Christian Faith, instead foreseeing freely gathered people in churches in voluntary association. The First Great Awakening united the American Colonies for the first time. It produced a Protestant Consensus of beliefs, standards, ethics, and morality, which hitherto did not exist in America. It marked a victory for religious freedom, and was focused on progress—to explore within a Christian context the limits of human possibilities. The First Great Awakening was the proto-revolutionary event and the formative moment in American history. It taught the colonies what they had in common, which was a great deal. As John Adams said: "The Revolution was effected before the War commenced. The Revolution was in the mind and hearts of the people: and change in their religious sentiments of their duties and obligations." The First Great Awakening had a profound impact on American education. The Founding Fathers of America saw education and faith as inseparable. As Alexis de Tocqueville wrote: "In France I had almost always seen the spirit of religion and the spirit of freedom pursuing courses diametrically opposed to each other. But in America I found that they were intimately united, and that they reigned in common over the same country." The essential difference between the American Revolution and the French Revolution is that the American Revolution was a religious event, while the French Revolution was an anti-religious event. William Ellery Channing described Christianity as "the perfection of human nature, the elevation of men into nobler things." The leading figures of the Great Awakening were deeply moved by the idea of living a life devoted to God. Many were influenced by the 1728 book by William Law: A Serious Call to a Devout and Holy Life. 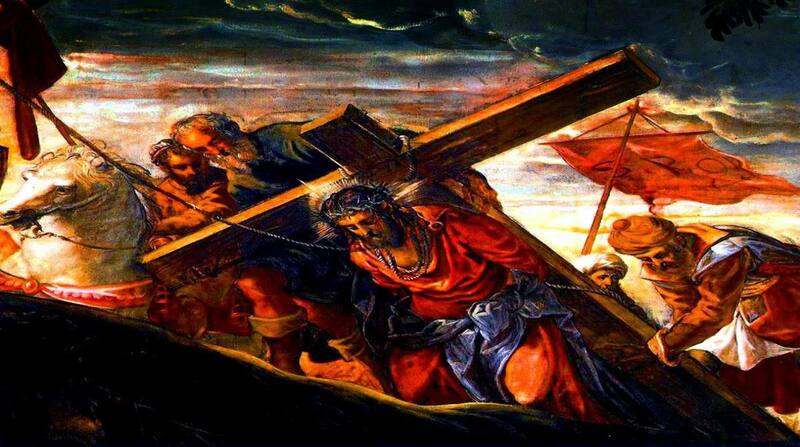 The Christian Faith remained central to the lives of Americans in the 18th century. 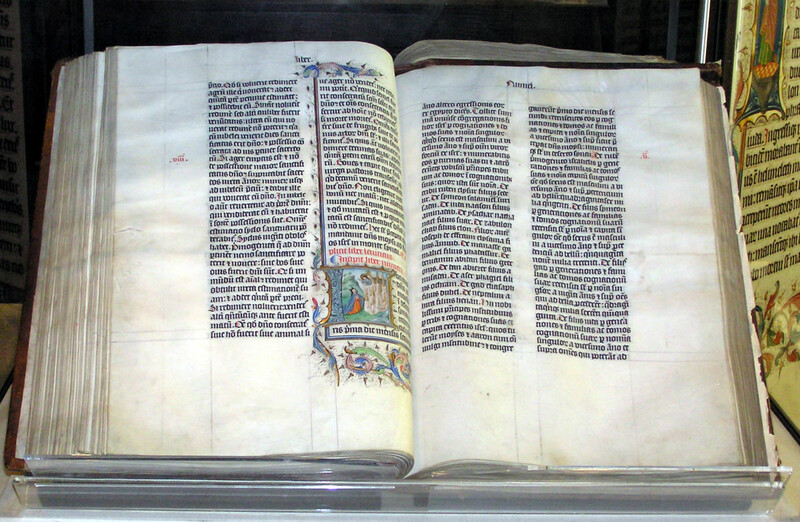 By far the largest category of material produced by American printers was sermons, religious treatises, and Bibles. Perhaps 75 percent of the American colonists participated in the Great Awakening. For most it was a highly emotional experience. It taught them that man—especially American man—has a dramatic destiny. Man born in the image of God has boundless capacities. My sources include: A History of the American People by Paul Johnson;The Great Controversy by Ellen G. White; America: A Narrative History by George Brown Tindall and David E. Shi; and Give me Liberty! : An American History by Eric Foner. Lucifer - Devil, or King, or Morning Star, or Fallen Bible Angel, or Something Else? Deborah Brooks— You are most welcome. I am so glad you enjoyed my work here. Thank you for very much for the gracious accolades. I look forward to reading your Hubs soon. Welcome to the HubPages Community! You have really done your homework.. I really love this.. great information.. I knew and heard the the GREAT AWAKENING.. but never knew all of this.. thank you so much for sharing. I really enjoyed this. collegatariat— You are surely welcome. Thank you for the laudations. A friend of mine is heavily involved with the Jonathan Edwards Center at Yale but I've not made it up there yet for the guided tour. Yes, we have slipped away over the years. We desperately need a Third Great Awakening in America—and fast. I appreciate you reading my work. I look forward to checking out your Hubs soon. Welcome to the HubPages Community! Eiddwen— Thank you for the lovely laudations!! I surely appreciate the up up and away votes from you, my lady. I hope all your days are wonderful. Thank you for an excellent and fair summary of this great event in American history. I've been studying Jonathan Edwards' life and theology, and it is incredible to see how far most of modern Christianity has come from his passionate love for God and truth. Wouldn't it be wonderful to see a third awakening in our nation? Wow what a lot of comments and what a brilliant hub. A positive up up and away here James. Take care and have a wonderful day. suzettenaples— Thank you for reading my Hubs. I think it is possible that a loving, benevolent God can also be angry and wrathful toward those rebellious sorts who not only reject him, but lead the innocent down the path of perdition as well. I appreciate your comments very much. Again, a very interesting hub. I taught American Literature have taught Johnathan Edwards' "Sinners in the Hands of an Angry God" I taught it from the standpoint of the imagry he used in his sermon. This was not a loving, benevolent God, this was an angry God who would toss you (the spider or insect) into the fires of damnation. So, not everything he wrote was a beautiful treatise. I have not read everything by Edwards, so I can only speak of this one sermon. Thank God for the ones who came before us! 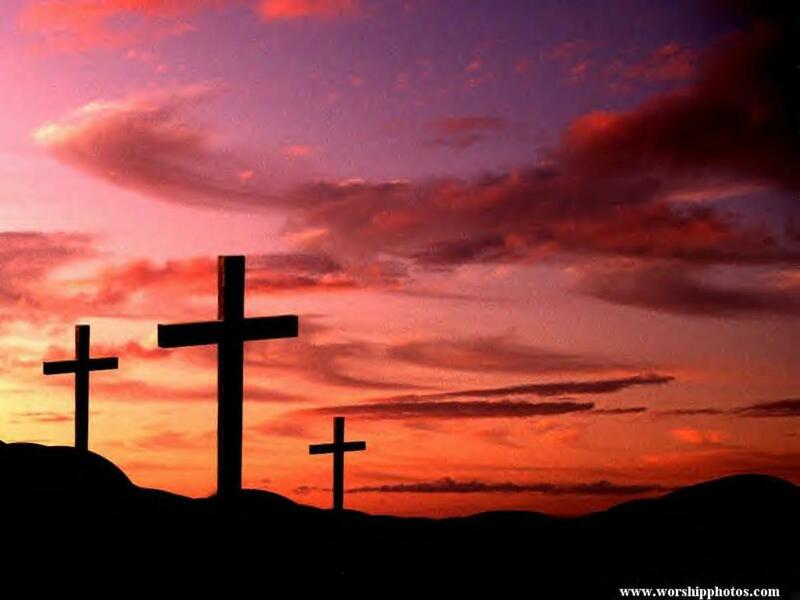 And thank God for the ones who kept the FAITH! As always your Hubs are very informational. Much love.... Voted-Up! Wesman Todd Shaw— You know, I haven't read any Hubs by "Sunforged" in a long time. I just made a note to do so ASAP. Thank you very much for the laudations. I appreciate your excellent insights. I agree with your comments wholeheartedly. Good of you to visit. Between you and "Sunforged" I feel like I never do anything but say, "AWESOME! AMAZING! etc," but that's how I feel about it. As for the bit of debate about seculars claiming the credit for abolition, etc - that's real. I see the new atheist movement, which truly is secular humanism - regardless of what they call it, take the credit for those things. They insist that the Bible doesn't condemn slavery, well, that's because the Bible is realistic, and the authors know that slavery will always exist - even if people don't even know that they are slaves. Fluffy77— Thank you! Welcome again to HubPages! I agree with your perspective that this must have been an interesting time in which to live. And we live in fascinating times too! Another great one! I love history in just about every form, this is full of more good thought provoking information and the illustrations with paintings are so breath taking. The views on this part of history are very different yet everybody does have some, seems a wonderful and strange time to have lived. cristina327--- Always a pleasure to hear your voice, my dear. Thank you for your gracious compliments and blessings. I surely agree with you that these men revived the Christian Faith--a revival that was sorely needed. We are indeed indebted to them. Praise God! I appreciate your comments, and you are most welcome. Thank you very much for taking the time to read my article. I sincerely appreciate your comments. Welcome again to HubPages! I'll be over soon to read your work. This is Marvelous James ! This is indeed an excellent account, another excellent work from you. 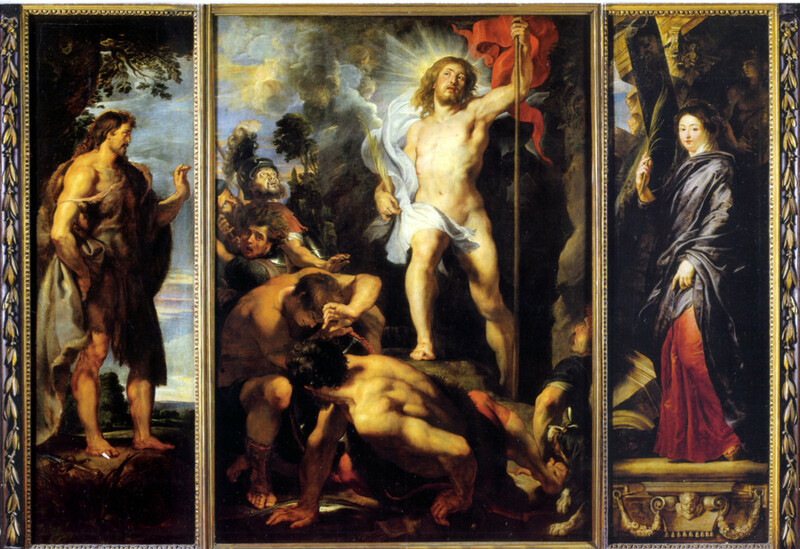 Truly without those great awakenings of the 18th century, christianity would have lost its impact to the modern world. We are greatly indebted to those great men of revivals. Praise God for the marvelous work of the Holy Spirit in the great Awakening. Thank you James for sharing this marvelous account. Remain blessed always. Best regards. well done James, I love reding about the ways God has moved through history and the way tradition always seemed to try to stop these movements. It makes me want to check my heart so as not to get in the way of what He is doing now. LOL, he was much more interesting than his most public persona. And it's a job I'll leave to you, you'll do it best. Alexander Mark— You are so right, my friend. I love Elvis. I am sure I will eventually write a Hub about him. I have to. Harlan Colt— Thank you, Harlan, for your kind compliments! Yes, all was indeed well in the 1950s. I was a rock and roller myself and saw no harm in it at the time. America was blessed by God. Of that, there can be no doubt. I appreciate the visitation, brother. I hope all is well with you. @Harlan: Elvis took a bad turn, most people don't know about his gospel music. I'm not sure rock music is a bad thing, but it certainly ruined Elvis's life! Great educational hub... excellent work bro! Alexander Mark— I have a friend who preaches on the street in the middle of crack town. He has a little gospel band that plays and people do gather 'round. You are surely right that the Great Awakening circuit riders were indeed "tough a nails." I agree with you that a balance should be struck between ceremony, emotionalism, and reading the Bible. Thank you for your affirmation and encouragement, brother. I appreciate your kind comments and you are most welcome. How do we preach that way today? In open markets and streets, how do we get people's attention without looking like nutcases? One thing is for sure, the primary preachers responsible for the Great Awakening were tough as nails: Some even following in Jesus's footsteps in having no home yet being on fire for God everyday and twice a day or more! I am not a proponent for emotionalism, but it seems to have been sorely needed at that time. Today, we have too much emotionalism and too little Bible study. I am grateful you wrote this, it is clear that American freedom is tied directly to the Christian revival. Great article brother, thank you very much. Chasuk— I see what you're saying. You are correct. The Founding Fathers wrote that our experiment with self-government would only work for a Christian people. But they did not make America a Christian nation as in forcing people to be Christians to live here or whatever. wba108@yahoo.com— Excellent insights! Yes, as you say: "you can observe the fruit of the revival by its effect on unifying the nation and sowing the seeds of freedom." @James: "The United States is a Christian nation" and "The United States was founded as a Christian nation" are two different claims. Read my hub, then we'll talk. I believe the emotional component of the first Great Awakening is often underplayed. As you said, churches before the awakening were somber and unemotional, when God touches someone it must touch their emotions because that's part of who we are. Of course emotionalism can become a ritual, but you can observe the fruit of the revival by its effect on unifying the nation and sowing the seeds of freedom. Granny's House— You are right on time. Thank you for coming by to see my work. I appreciate the laudations very much. I will come over and read your Hub. I just made a note to myself to do so ASAP. The first act of America's first Congress in 1774 was to ask a minister to open with prayer and to lead Congress in the reading of 4 chapters of the Bible. 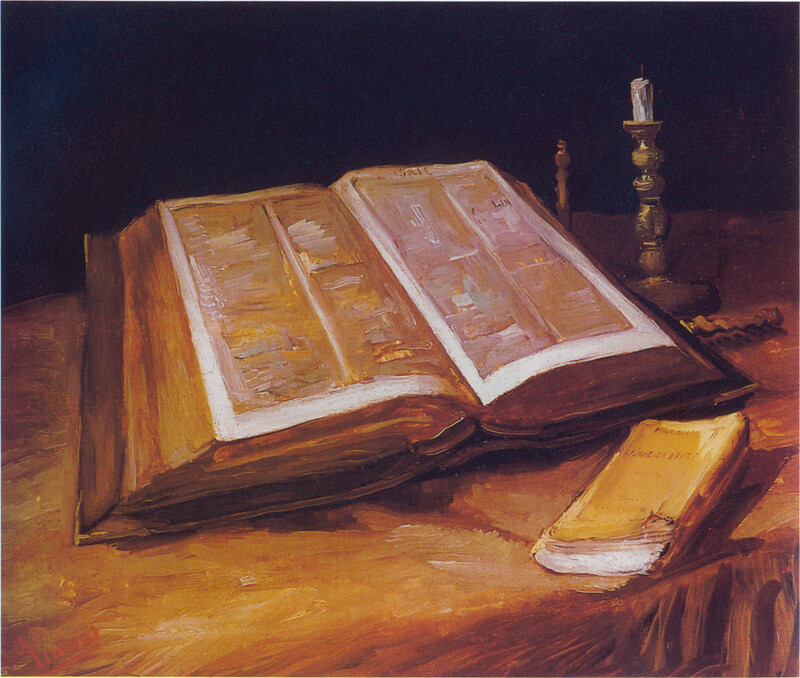 In 1777, Congress, facing a National shortage of `Bibles for our schools, and families, and for the public worship of God in our churches,' announced that they `desired to have a Bible printed under their care & by their encouragement' and therefore ordered 20,000 copies of the Bible. 2besure— Yes, please do it again. We can surely use a new Great Awakening. Thank you for your fine comments. I appreciate the visit. FaithDream— Thank you! I appreciate your kind compliments and the bookmark. Welcome to the Hub Pages Community! I look forward to reading your work. James, so sorry it took me so long to find my way this fantastic hub. Well done as always. DeBorrah K. Ogans— You are quite welcome, my Sister in Christ. I always look forward to hearing from you as you never fail to encourage and inspire me. Thank you, dear lady, for being my HubPages friend. You are the best! @James and @CMerritt: The US was not founded as a Christian nation. I wrote a hub concerning this. I won't link it without your permission, but my proof is too lengthy to reproduce as a comment. It is so exciting to hear how God has moved in the past. My Pastor who was raised Mennonite, told me about the Mennonite awakening amongst the youth,in the 50's. Lord, do it again! This is a very good article. You did your research and it shows. I'm bookmarking this for reference. It has great information filled with historical events. James A Watkins, Wonderful & Inspiring! I believe that the “Great Awakening” continues… The Holy Spirit is knocking at the hearts of many… Time is of the essence. The Lord’s return is eminently upon us… This is a marvelous historical narrative as well! Thank you as always, for sharing, your gift! Wonderful lecture Professor! In HIS Love, Grace, Joy, Peace & Blessings! Ingenira— Thank you for reading my Hub. I appreciate your kind compliments. James I have said it before, reading some of your hubs, for me, is like sitting in a History class, although my History teacher should have been more like you. Great job!! A superbly written hub with great details. Thank you, James. I marvel at your writings and intricate research work you do.I've gleaned a lot more information.I praise God for all such writings He is still inspiring today.God bless you and your family James. CMerritt— Thank you! There is no question that America was founded as a Christian nation. I can provide quotes from a plethora of presidents, and from the Supreme Court, that state as much. History is being rewritten to remake the founding as that of secular humanism. It makes me wonder what and who is behind any movement that depends upon falsification. Chasuk— I am non-demoninational myself. I was involved with the SDA for a few years a long time ago and during that time bought a set of books by Ellen G. White. "The Great Controversy" and "The Desire of Ages" are both books that I love. crystolite— You're welcome. Thank you for expressing your appreciation of my work here. I'll be coming by soon to check out your Hubs. I am glad you loved this Hub and I appreciate you checking out the other links I provided. Thank you very much for your insightful comments. God Bless You! Awesome write-up, interesting to read. always exploring— Well you are most welcome, my dear. Yes, I agree that much wonderful work was done. I'm glad you found this bit to be interesting. That is gratifying to hear. God Bless You! Chasuk— Right, right O, right you are. Well said then. I get you. I appreciate your comments. Thank you for visiting my Hub, and for coming back by with the clarification. PegCole17— I have been to revivals as well, mostly when I was young. I did attend one just a few years back that was quite fascinating in Lakeland, Florida. Well, I'm glad you read my article. Thanks for your comments. Tamarajo— I surely agree with you that another Awakening is in order. Thank you for taking the time to read my Hub. I appreciate your fine comments. DavePrice— Thanks Brother! I can't wait to read your treatment of "Sinners in the Hands of an Angry God." That will be a treat. Hyphenbird— Thank you so much for the laudatory remarks. I am grateful for your warm words. Welcome to the Hub Pages Community! Great hub James....makes you wonder if we aren't needing a "Second" awakening. We need ALL Americans to recognize just who much of a Christian Nation we truly are...and how significant it was/is. Wow! How informative! Great job. Jeremey— Evangeline. Lovely name. Reminds me of Evangeline Lilly. Thank you for the accolades. I appreciate the visitation. Cogerson— You're welcome. I am with you in the "George Whitefied Fan Club." Thanks for your comments. @James: Are you a Seventh-day Adventist? I ask because few who are not Seventh-day Adventists would use Ellen G. White as a source. I love this piece of work a lot.thanks for sharing. I loved this James and I think too many churches are political, even as a child I missed so much I wanted to learn listening to who a 9 year old should vote for I guess. But thank God now through Hal Lindsey and Oliver Green's books years ago I got into reading and knowing every truth is in that book (Bible) and I can find it for myself which God wants us all to do. I will read all your links, I will also start searching for a church that is alive and filled with the Holy Spirit which is what I was baptized in. I know before reading it that God is not mocked and wish many more could see that. God bless you..
ColibriPhoto— You are surely welcome. I think another Awakening is headed our way. If not, I expect heavy persecution to come as Secular Humanists feel more emboldened. I must say you have one of the most interesting profile pages I have read. I look forward to reading some of your Hubs soon. Welcome to the Hub Pages Community! This is very interesting James. I didn't know about the early preachers. What they did was wonderful, teaching people to read, preaching slavery was wrong. Thank you for this very informative hub. @James: There are still evangelical Quakers. I've known a few. Most -- then and now -- are what might be called "liberal" Protestants, although the radical beliefs of their founders are unsurprising today. I was correcting WillStarr's misinformation, not disputing the importance role that many brave evangelicals played in the dismantling of slavery. CMHypno— I don't know about mankind, but in the United States people can worship however they want without threats of violence. 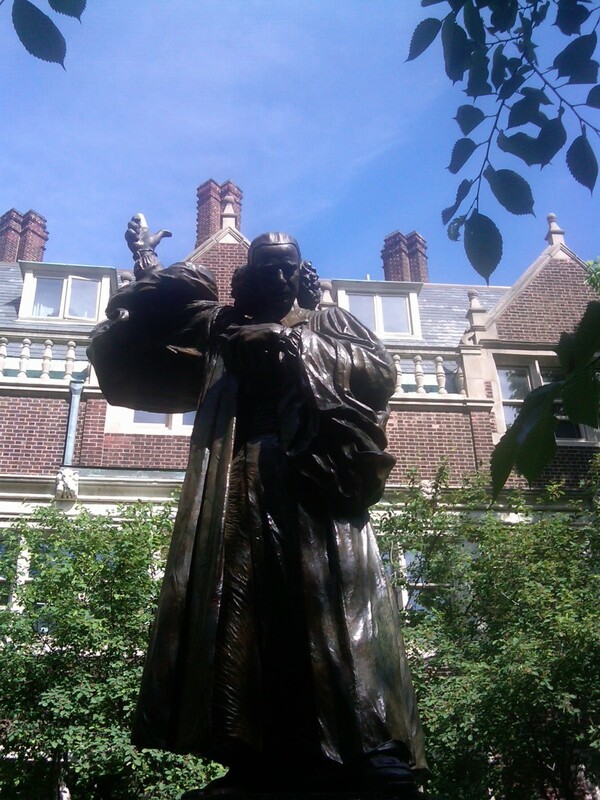 Chasuk— Oddly enough, I have recently finished reading a lot about William Penn and the Quakers. At least back then, I see no Leftist agenda from them. They were very conservative in their habits and worldview. I think due respect must be paid to many Christian denominations in regard to abolition. 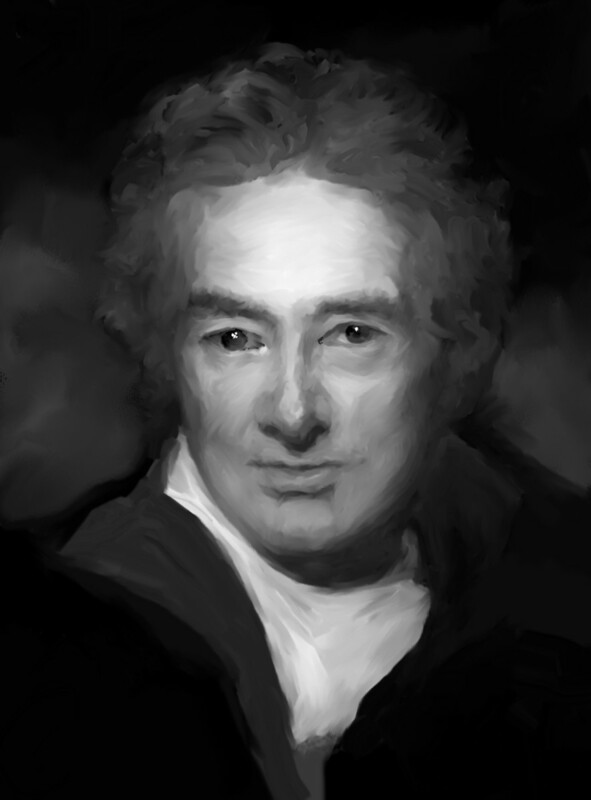 The Episcopalians and Methodists were heavily involved but even more the Evangelicals such as William Wilberforce. Another informative read here, James. Nice work. I attended revival meetings in the early 60s in giant tents. Very powerful stuff in the genre and style of Elmer Gantry. As a child, it made quite an impression on me. I had heard of "the Great Awakening" but I really had no idea what it was, when it was, nor who was involved. An interesting historical look at this blessed event and movement. I think we could use another awakening. Vladimir Uhri— You're welcome. Do you mean the Movement is not finished? Or that my Hub is nt finished? Truckstop Sally— When you have a row of picture capsules alternating with text capsules while assembling your Hub; if you hit the "right arrow" on a picture capsule (just to the right of the word "edit"), it moves down and to the side of text. I think it breaks up the page and makes it more pleasurable to read. If you have trouble getting it to work, send me an email and I'll explain it further. This is so informative and contains great wisdom. You really did a lot of research and it paid off. A great Hub that I will revisit! skye2day— You are quite welcome, Sister! Thank you for checking out my work. I am grateful to you for the gracious compliments you left for me. Love in Christ. Amen! WillStarr— That is interesting. The rewriting of history by secular humanists has resulted in distortions and fabrications by the bucketfuls. Thank you for your comments. no body— Thank you being my first visitor, Brother Bob. I appreciate the love and the accolades. Thank you for forwarding this link to your friends. Awesome piece of religious history. Much enjoyed. It is history like this that led me to name my daughter Evangeline. Right on, write on! I have enjoyed reading this hub and have learn so much. I love it when i read a hum and come away knowing something i did not know before ! Awesome and vote up !!! I have always really appreciated the life work of George Whitefield, his humble origin only made him a better man...thanks for this interesting and informative hub. Great hub. It is a shame that what was considered radical about these early revivalists has now become ritual in our churches today. There was great hope back in the late 90s that there might be a new awakening with the spiritual renewal in such places as Brownsville and Vineyard. Unfortunately man can not leave the work of God alone and they have to try to capitalize on it. His day is coming and for this I have hope. Thanks for a great article. Fascinating on the this historical event. I'm glad there are hubs like this one to read up on history. Thanks again for sharing. I really enjoyed this well written hub and I learned so several things as well. I loved the last paragraph that summed up so well. Your hubs are always enlightening. @WillStarr: I'm a member of the secular left, and I have never heard any of my peers claim credit for the collapse of slavery. The collapse of slavery is to a great extent attributable to the Quakers (the Christian left). I love this James,very much, but it is not finished. Thanks. Thanks for an informative hub. I like the way you listed your sources. I need to do that more/better. 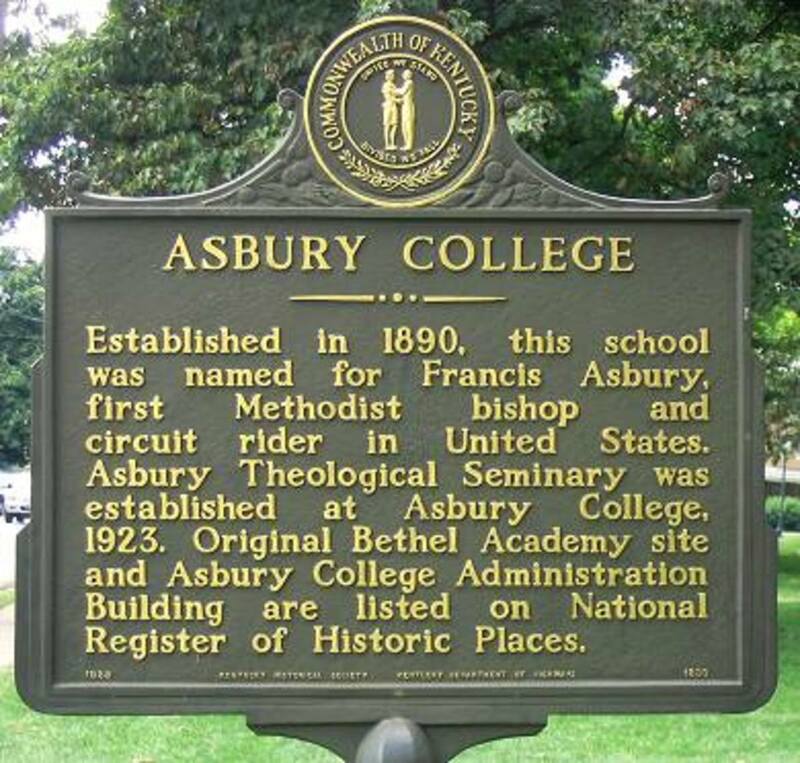 I had never heard of Francis Asbury until today. On a more shallow topic -- how do you "place" your pictures/illustrations next to your copy? Side-by-side? The only way I know to add elemsnts is to divide your story and add the picture in between. This riveting discourse declared that the greatest treasure on earth is the happiness of spiritual transformation to be found in "the Glorious Excellences and Beauty of God." You are the best. In Him. Your sister. I Love ya bro. You have done a mighty work for our Lord. Beautiful pictures and your words flow. Thank you for an eye opener. God is the same yesterday today and tomorrow. You keep the Light shining warrior. In Him.